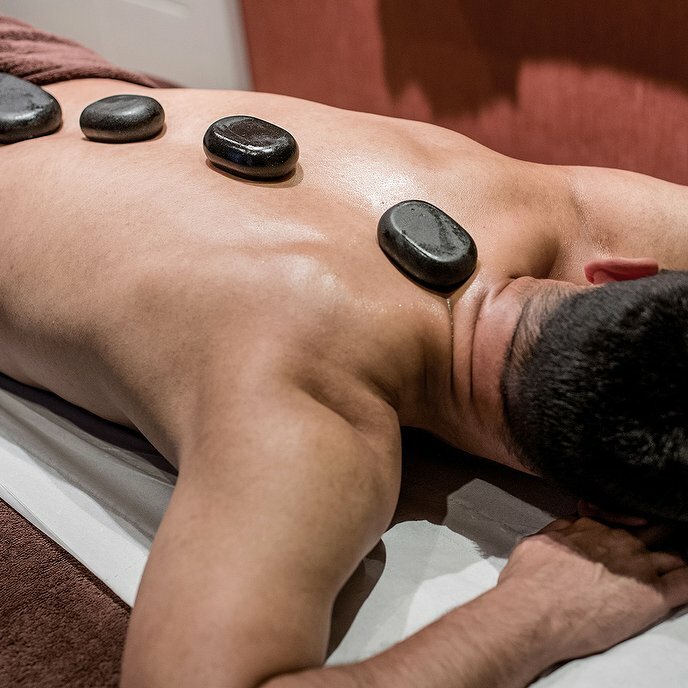 Hot stone massage is an ancient practice dating back thousands of years, and involves the use of flat, heated stones (basalt stones) that your massage therapist places on key spots across your body. These special areas are said to control your body’s energy flow and when recharged can help to rebalance body and soul. Why not experience the healing benefits of this deeply therapeutic treatment and get some chi on the go? While a hot stone massage is more complicated than your regular shoulder rub, the process is actually quite simple. Your massage treatment takes place in a private room, where your therapist will have heated carefully selected stones at a comfortable temperature. For anyone worried about overheating, fear not! The stones will be warmed to a pleasant and entirely bearable heat. Stone massage therapy is a great pick-me-up if you’re feeling burnt out. It’s deeply relaxing, and with a typical treatment lasting around 30 to 90 minutes, one session will leave you feeling fully refreshed and ready to go in no time. As you lie down on the table, he or she applies light oil to your skin (lavender and grape seed are our favourites! ), before placing a towel between you and the stones. Once you’ve fully relaxed and have got used to the warm sensation, your therapist will gently glide the stones over your body, stopping every now and again to rest them on different areas of your legs and back. From the moment you close your eyes, you’ll feel those everyday stresses simply melting away. We're feeling more tranquil just thinking about it! Stone massage therapy is a great pick-me-up if you’re feeling burnt out. It’s deeply relaxing, and with a typical treatment lasting around 30 to 90 minutes, one session will leave you feeling fully refreshed and ready to go in no time. What’s more, hot stone massage is thought to be helpful in treating all sorts of muscular injuries, aches and pains - and can even benefit people who suffer from multiple sclerosis or fibromyalgia. Who knew a massage could be so genius? If you're suffering from tensions and aches that cannot be solved by a classic Swedish massage then a deep tissue massage might be the answer you're looking for! During a deep tissue massage, the pressure is stronger and concentrated on the problematic area which might lead to a little bit of discomfort. It is worth it though as it helps alleviate the pain in the long term!